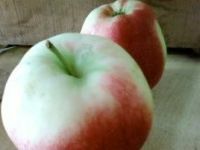 Places to pick your own fruit in PA. Find the best pick your own farms and orchards in Pennsylvania. Family owned and operated through four generations, Weaver's Orchard is a great fruit-picking orchard in PA! They're open all year, so there's always sure to be something delicious in season for you come pick for yourself! Try refreshing strawberries and cherries in the heat of the summer, or apples and pumpkins in autumn. The farm also produces a variety of baked products and craft cheeses for you to enjoy; there's always something wholesome here! The farm boasts plenty of family entertainment-so plan your next party here, or take the whole family down for the day. Why not support local crops while at the same time picking yourself something tasty to eat? Pick-Your-Own Fun at Highland Orchards! 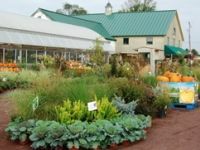 Founded in 1941, Highland Orchards, Inc. operates more than 200 acres of land in Chester County, PA - with something always growing on the farm, it's a great place to stop down for some pick-your-own fun. The farm hosts wholesome activities all year round, like the Hay Ride to the Easter Bunny in Spring, and the Fall Harvest festival. Give Highland Orchards a try, and become part of their community! In addition to what's grown on premises, the farm also makes other locally grown produce available at its farmer's market, as well as fresh home-baked pies made from the best-tasting crop, and Philly's Best Apple Cider Donuts available all year round! If you're looking to pick your own fruit in Pennsylvania, look no further than Highland Orchards. Wonderful Fruit Farm in PA! 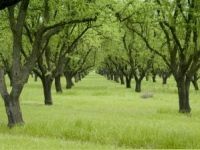 Since 1985, Ron and Carolyn Beinlich have been providing their community with a great pick-your-own orchard in Pennsylvania. They have grown their business, and their family, through over 25 years of hard work, and invite you now to come see the fruit of that labor, and taste some of it for yourself! Check their website for seasonal availability! Now featuring a new playground for visiting kids, a refreshment building, fun farm animals, and most importantly Pittsburgh's Finest Family Pumpkin Festival! Delicious, Fresh Raspberries in PA! 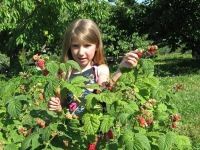 Berries and Blooms invites you to "take your pick" at one of the best pick-your-own farms in Pennsylvania! At Berries and Blooms, their raspberries are grown in a unique "High Tunnel" system, featuring large rows of berries on each side of even paths that will allow you to comfortably pick ripe, delicious berries fresh off the bush without wandering through brambles. Pick from the Fourth of July until the first frost of winter, and try their tart, sweet crop for yourself! Apart from raspberries, they also offer specials on other farm favorites by the quart like sweet onions, tomatoes, and peppers, as well as beautiful flowers! Come for a visit, and taste their High Tunnel crop! Summer Crop Fresh for the Picking! Morris Organic Farm is a USDA Certified Organic Farm that works hard every season towards proving fresh, wholesome produce to Westmoreland County. You won't believe the range of summer vegetables that they have available every season, like green beans, peppers, lettuce, butternut squash, kale, cucumbers, cabbage, radishes, snow peas, parsley, sweet corn, potatoes, and pumpkins (that isn't even half!) You'd better hurry, it's picked quick! Morris Farms holds itself (as does the USDA) to the most stringent organic standards, so you can be sure that the fresh produce you crave hasn't been tainted by industry standard chemicals of any kind. Give them a chance to impress you, they're sure you'll return! Try Their Fall Fest & Pick-Your-Own Pumpkins! The Schramm Family has owned and operated the family farm since 1864, and has been providing fresh fruits and vegetables for over a hundred years! Now passed down to a third generation, the family is just as dedicated to the quality and taste of its crop. Their most exciting event of the season is Schramm's Fall Fest & Pick-Your-Own Pumpkins! 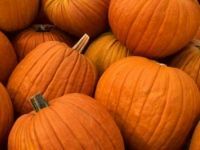 Apart from the fun of wandering through their wide selection of huge, ripe pumpkins just waiting to be carved, their Fall Fest also features apple cider, fresh steamed vegetables, hot french fries, and candy apples- as well as hay rides and pony rides! 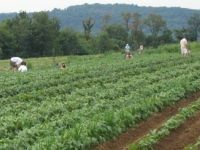 This pick-your-own farm in PA knows how to do delicious family fun! It's Pumpkinfest at Shady Brook Farms! Voted the Best of Buck's 2010 by the Courier Times, Shady Brooks Farms is a fun place for everyone to pick-your-own pumpkins in PA! Don't miss Pumpkinfest at Shady Brook! It's more than just pumpkins; it's hayrides, and their Giant Corn Maze! Open every day until Halloween! Shady Brook Farms also provides one of the area's best farmer's markets, allowing those who crave local produce picked by hand to enjoy their freshness and quality. Shady Brook also boasts a complete gardening center to supply you with everything you need to help the family garden thrive- from tools to fertilizer! Family owned since 1913, be sure to try Shady Brook Farms! A Delicious Pick-Your-Own Orchard PA! Solebury Orchards has been growing delicious fruits and berries since 1985, and now they're going stronger than ever with 70 full acres for harvest. They feel that the best way to appreciate the beauty of their land is to wander it for yourself, and taste the bounty that grows there. They have apples, peaches, blueberries, raspberries and more! Hurry in before the Fall is over! 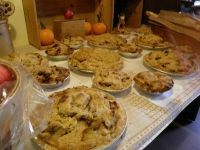 Take your family or loved ones down to Solebury Orchards, and treat them to a pick-your-own experience they won't forget. They even offer a guided tour called "All About Apples" for children of all ages. Once you visit, be sure to pick up some sweet jam or fresh cider! One of the Freshest Pick Your Own Farms in PA! Growing locally since 1944, Frecon Farms is known for some of Pennsylvania's highest quality tree fruits. Pick the best cherries, peaches, plums, blueberries, apricots, nectarines, raspberries, apples, pears, pumpkins, squash, and much more! 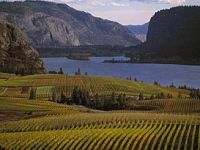 They also offer the finest gourmet food products, wine made from fruits grown on the premises, and hard apple cider blended and fermented from their own apples. Frecon Farms' seasonal events and annual Bluegrass Festival have attracted visitors from many states. Check the website to browse through the featured events. 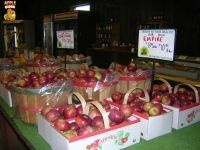 One of the Finest Pick Your Own Orchards in PA! County Line Orchard has been growing delicious apples, peaches, nectarines, apricots, and blueberries since 1984. The owners of County Line are dedicated to growing the finest varieties of fruit and ensure they reach optimum ripeness. The entire orchard contains 30 acres of fruit trees, and a healthy environment is maintained with the use of integrated pest management. There is a wide selection of fruit and fruit products available for sale at the market. 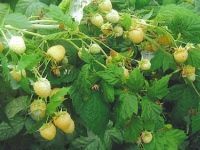 You also have the option of picking your own blueberries in July and various types of apples from September into mid-November.